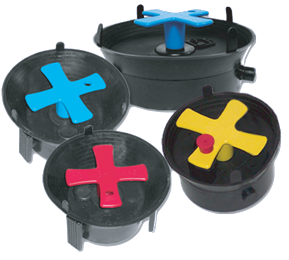 The Debris Cap™ is a simple, cost effective solution to keeping pipes and valves dirt free. Utility companies, emergency response crews and municipalities across the United States and North America are specifying the Debris Cap™ for all new construction and are mounting aggressive retrofit programs designed to save crew hours and thousands of dollars. We invite you to prove it for yourself..
1. Protect water and gas valves from dirt, debris and damage. 2. Reduce response time and property damage during emergency water line breaks or gas leaks. 3. Prevent unauthorized operation of valves. 4. Cut liability, insurance & maintenance costs.